As she continued to pray, she believed that God entrusted her with the call to begin the school herself. She got to work quickly. Laboring alongside her father and brother, she refurbished 25 rooms of the former Catawba Hotel in time for the watchnight dedication service of Elhanan Training Institute on December 31, 1898. A similar resolve ignited in 26-year-old Iva Durham Vennard during a summer camp meeting in 1897 at Mountain Lake Park in the Allegheny Mountains of Western Maryland. She had come to this Methodist camp meeting ground, bordered by Victorian-style cottages topped with gingerbread trim and set amidst 800 acres of mountain scenery and pristine air, to find respite from her grueling travel schedule as an ambassador for the Methodist Deaconess Bureau. She also took the opportunity to work as the stenographer, recording in shorthand the first Itinerant Institute on Evangelism, a set of lectures given by a leading evangelist of the Wesleyan/Holiness movement, the Rev. Joseph H. Smith. Through these lectures, Smith provided a modicum of practical training in evangelism before people headed out into the work. He addressed a host of practical issues, such as crafting evangelistic sermons, working the altar, and raising money. As Vennard’s pen flew across the page, capturing Smith’s words in every shorthand dot and line, her own “illumination” (as she would later refer to it) took shape for a religious training school steeped in evangelism. Five years later, in 1902, she opened Epworth Evangelistic Institute in St. Louis. Vennard and Perry are emblematic of women evangelists who not only preached but also founded religious institutions—evangelistic organizations, churches, denominations, schools, rescue homes, and rescue missions—across the country during the last decades of the 19th century and the first decades of the 20th century, a period known as the Progressive Era. Women pastors, preachers, trustees, faculty, and students share stories from their long road to equality. Listen to them in their own words at our inaugural Story Table. The next generation of women evangelists, like Vennard and Perry, shifted their tack from itinerancy to institution building. Ill at ease simply to proclaim the gospel message of salvation in Jesus Christ and then move on to the next preaching venue, they undertook the formidable work of building institutions to gather converts in, train them for further work in evangelism and outreach, and carry on the evangelist’s legacy for future generations. Each of their institutions exhibited a measure of permanency, complete with official incorporation, administrative structure, worker training, membership cultivation, scheduled activities, fundraising protocols, and an established location for meetings and services. These institutions permeated large American cities as well as isolated reaches and settlements. In Boston, a Roman Catholic laywoman, Martha Moore Avery, cofounded the Catholic Truth Guild in 1917, the first evangelistic organization launched by Catholic laity on American soil. In the South, Mary Lee Cagle planted churches initially throughout Tennessee and Arkansas for a denomination founded by her husband, R. L. Harris, the “Texas Cow-Boy Preacher.” After his death from tuberculosis, she ventured into Texas when she received a letter with money enclosed from an immigrant settlement of Swedes, Norwegians, and Germans asking her to organize a holiness church in their town of Swedonia. She founded a church in 1897 with 31 charter members. Eventually, her denomination, the New Testament Church of Christ, joined with the Church of the Nazarene when it was founded in 1908. In the Midwest, in Hicks Hollow, an impoverished enclave in Kansas City, former slave Emma Ray turned a ramshackle, two-story wooden building into a rescue mission for African American children in 1903. The mission provided the children with clothes, meals, trips to the park in the summer, and a warm place to come in the winter. It also sponsored nightly evangelistic services on neighborhood street corners. Emma and her spouse, L.P., sang and played instruments outside a gathering place—a rooming house, loan office, or saloon—in order to draw a crowd. Then they preached a brief gospel message, followed by a time of prayer. One night, they deliberately interrupted a craps game by forming a song circle at the exact spot where players threw the dice. She claimed they had a splendid audience and were particularly effective that night. In the Pacific Northwest, Florence Louise Crawford brought the Pentecostal message from Azusa Street to downtown Portland and opened the Apostolic Faith Mission (AFM). By 1920, this church was publishing religious material in many languages and mailing it to destinations across the globe from Panama to China. Currently, its publishing department churns out over two million pieces of literature annually in three main languages—English, Spanish, and Portuguese. Along with breaking ground for their institutions, Cagle, Vennard, Crawford, and other evangelists broke new ground as female religious leaders for both women and men. Their institutions attracted male and female converts, members, and students. Church membership rosters listed male and female names. School photographs captured female and male students sitting alongside each other in classrooms. Letters written from male and female workers back to denominational headquarters described their religious service and travel adventures as they crossed the continent to advance the institutional network. Church leadership positions were filled by both women and men. These women evangelists, therefore, rank among the first American women to build—and lead—mixed-gender religious institutions. Who were these women? By and large, they were, like Vennard and Perry, theologically conservative, with deeply held views on the necessity of conversion and sanctification and a deep trust in the inspiration of the Bible. Yet—and here lies the utter fascination of these women—despite an entrenched conservatism, these women not only initiated but also stood at the helm of these institutions, which they built to accommodate, to teach, and to equip both men and women. Their evangelistic organizations attracted thousands of women and men to their meetings. Their churches and denominations commenced with a handful of men and women and expanded across the country, some even across continents. Their training schools and colleges enrolled hundreds of male and female students. Their rescue homes and missions extended humanitarian and evangelistic outreach to men and women in American cities and towns. These women caught the fever rampant in America—and American Christianity—to create institutional legacies during the Progressive Era. What is their legacy? Though perhaps without the panache of Dwight Moody or Billy Sunday, these women did leave an enduring legacy. Arguably the most illustrious legacy of the shift they promoted from itinerancy to institution building is evident in the rise of Aimee Semple McPherson, whose evangelistic empire emerged as the Progressive Era waned. Her name—and the rumors surrounding it—remains legendary. Her story made headlines again recently as the subject of a Broadway musical. She was, according to the titles of two recent books, “everybody’s sister” and the person responsible for “the resurrection of Christian America.”4 Certainly, McPherson was a remarkable evangelist, religious leader, and institution builder. What we now know, however, is that the institutions she built had deep roots in the work of the women evangelists who preceded her. For instance, by the time McPherson opened Echo Park Evangelistic and Missionary Training Institute (later renamed Lighthouse of International Foursquare Evangelism or L.I.F.E.) in 1923, many religious training schools, including those founded by women evangelists, were already in their prime. Their influence is evident in several areas of McPherson’s school. L.I.F.E.’s balance between classes, particularly Bible study, and practical work replicated the curricula of already established religious training schools. On a logistical level, like Mattie Perry’s Elhanan Training School, L.I.F.E. offered correspondence courses to students who could not attend school four mornings a week, Tuesday through Friday, 9:00 to noon. 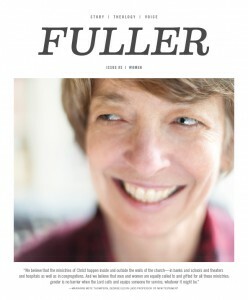 Similar to schools founded by women evangelists in particular, women as well as men signed up for classes at L.I.F.E. Likewise, for the practical work component, L.I.F.E. students, both men and women, had opportunities to preach at the Friday evening service at Angelus Temple and lead evangelistic meetings and events. Again, McPherson benefitted from proven practices instituted by the women who preceded her. By the mid-20th century, however, the vigor, intensity, and saturation of women’s institution building across the country waned. This impulse did not dry up altogether, but never again would women evangelists match the number and breadth of institutions they created during the generation from 1890 to 1920. For those who did build institutions after them, the focus lay principally on one—the evangelistic organization. Such was the case with evangelist Kathryn Kuhlman, whose namesake foundation coordinated her evangelistic meetings and healing services, her Heart-to-Heart radio program, and her television series, I Believe in Miracles. This practice continues today in evangelistic organizations such as Joyce Meyer Ministries and Juanita Bynum Ministries, which promote conferences, media broadcasts, Internet presences, and book sales. 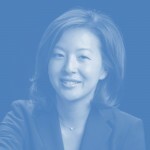 Read more from Charlene Jin Lee, professor at Loyola Marymount University. What dampened women’s enthusiasm for building institutions? One factor is the failure of most women evangelists during the Progressive Era to mentor female successors. When the founders died, men—often their sons—rose to prominence in their stead. In subsequent generations a commitment to women’s leadership within the institution diminished or died away completely. Another factor was emerging opportunities for women in mainline denominations, particularly in licensing and ordination. The Methodist Episcopal Church’s vote in 1924, for instance, extended local preacher licenses to women. As these structural inroads continued, women were increasingly able to work within established structures. The push for women’s ordination from the 1920s on made many of the institutions women had built during the Progressive Era, such as deaconess training schools, nearly obsolete. 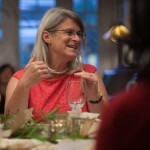 In evangelicalism and fundamentalism, according to historian Peggy Bendroth, women held typically female occupations in Christian work as teachers, artists, writers, cooks, pastoral assistants, and music directors.5 Like their mainline counterparts, they were able to exercise their callings within the confines of established churches, denominations, and parachurch organizations. They did not need to build new institutions in order to be active in Christian work. Does the demise of institution building imply that women evangelists of the Progressive Era are simply historical artifacts, women who worked for a generation but left no enduring legacy beyond McPherson? Not at all. One substantial legacy was to keep alive prospects for women in religious leadership. When the nation would not permit women to vote, when mainline denominations only begrudgingly allowed laywomen to vote in general church conferences, when a mere handful of women attended seminary, and when women’s ordination seemed a pipe dream, they built their own institutions, undeterred by what culture or church had to say about their prescribed roles. In institutions of their own making, they exercised religious leadership as evangelists who led others to religious experiences, as ministers who shepherded congregations and celebrated the sacraments, as bishops who ordained ministers (female and male), and as theology and Bible teachers who instructed both men and women. By standing in the pulpit, presiding at the communion table, laying hands on ordinands, teaching classes, and evangelizing the masses, they pioneered women’s religious leadership in American Christianity. Their significant legacy lies as well in their challenge to patriarchy in American Protestantism. These women broke ground as religious leaders by building institutions for women and men and enlisting male and female converts. Men and women joined their churches, sat alongside one other in religious training school classrooms, and filled church leadership positions at all levels. These women evangelists, therefore, rank among the first American women to build—and lead—mixed-gender religious institutions. 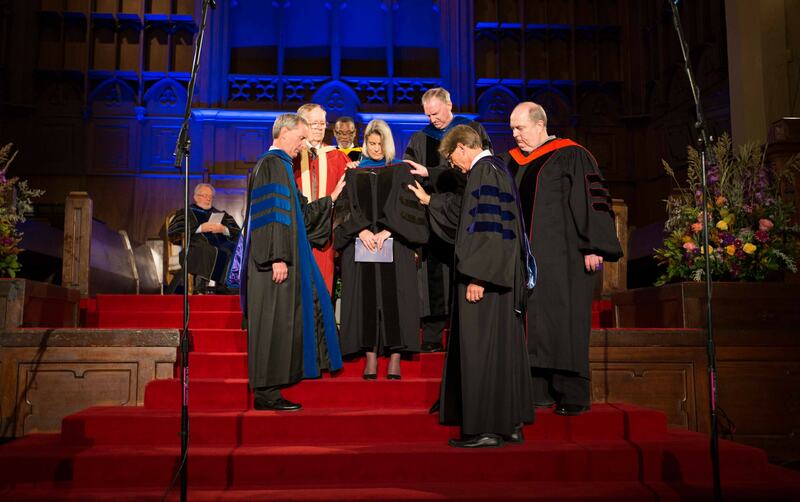 + On Tuesday, November 18, 2014, Fuller Theological Seminary installed Mari Clements as the sixth dean of the School of Psychology and the first female dean in the seminary’s history. Listen to her installation address. 1. Mattie Perry, Christ and Answered Prayer (Nashville, TN: Benson Publishing, 1939), 133–34. 2. Catherine Brekus, Strangers and Pilgrims: Female Preaching in America, 1740–1845 (Chapel Hill: University of North Carolina, 1998), 4. 3. George M. Marsden, Reforming Fundamentalism: Fuller Seminary and the New Evangelicalism (Grand Rapids: Eerdmans, 1987), 2. 4. Edith Blumhofer, Aimee Semple McPherson: Everybody’s Sister (Grand Rapids: Eerdmans, 1993); and Matthew A. Sutton, Aimee Semple McPherson and the Resurrection of Christian America (Cambridge: Harvard University Press, 2007). 5. Margaret Bendroth, Fundamentalism and Gender: 1875 to the Present (New Haven: Yale University Press, 1993), 74–76. 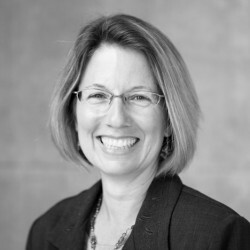 Priscilla Pope-Levison is Associate Dean for External Programs and Professor of Ministerial Studies at Southern Methodist University.